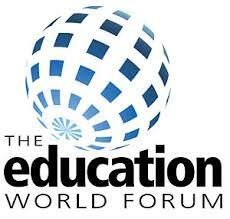 Education Fast Forward were back at this year’s Education World Forum on Monday 21st January at 9am GMT. This live, online debate was chaired by Gavin Dykes and focused on the launch of the new OECD publication, “Trends Shaping Education”. The debate took place in front of a global audience of Ministers and Ministries of Education. The panel included Andreas Schleicher of the OECD, Minister of Education from Ghana Hon. Dr Matthew Prempeh, LSE professor and internet safety campaigner Sonia Livingstone, and UNESCO’s assistant director-general for education Stefania Giannini.